The introduction of the National Government in 1931 came about due to the Wall Street Crash leading to a British Government run by members of all parties, more commonly known as a coalition government today. With public opinion split on how to deal with the financial crisis, this was initially seen as a positive step by many, but for many, the national government was not the ideal solution. 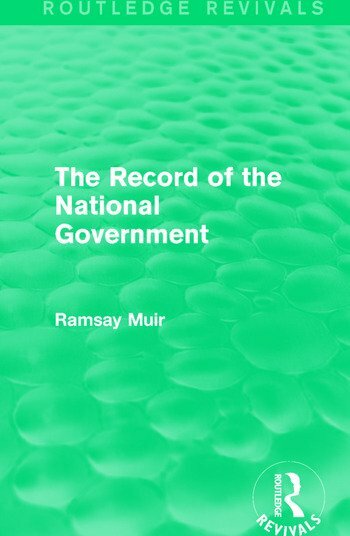 Ramsay Muir was one such ex-supporter and originally published in 1936, his study aims to provide a timeline of the events happening before, during and after the original national government and how this impacted on British politics. This title will be of interest to students of Politics and Political History.